It's been a while since I ventured out for some proper birding - life has seemed to get in the way lately - so I organised for a brief trip out this afternoon. The Frenches Road Waxwings weren't present today, there were only a few knocking around yesterday, and the rotting apple tree is looking quite bare of any genuine Waxwing sustenance. Maybe the little beauties have moved on, we will see in the coming days. All I know is that I will miss them if they have gone on to pastures new. 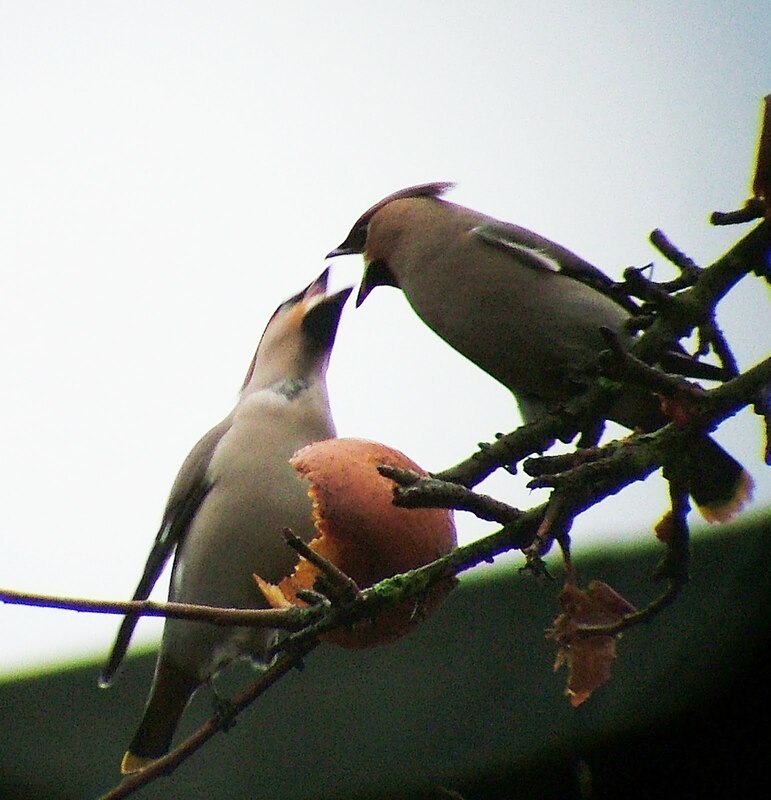 Having Waxwings on my doorstep has been a real treat. 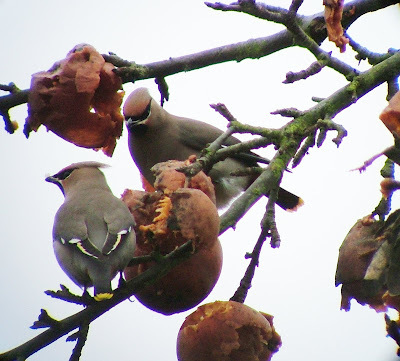 Having only really a couple of hours of decent daylight to play with, I headed off to Bookham Common to see if I could find the Hawfinch that had been seen in the trees behind Bookham station. I arrived at 2.30pm and walked over the bridge and headed off into the Common itself. After 50 yards I stopped to look at a couple of Bullfinch before they flew off and then looked up to my left and in the tree in front of me was a Hawfinch. It had taken me less than five minutes to find it from getting out the my car. I tried to take a couple of record photos as it preened itself in the thick shrub but the images didn't come out well enough. A lovely bird, though. I walked round for a while before going to Cobham to see the Bewick's Swans and anything else that might be around. 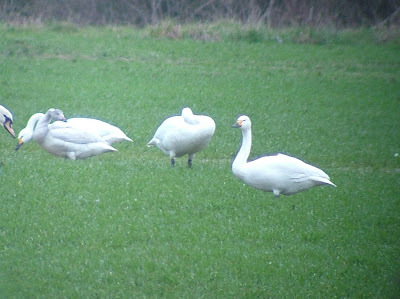 I fully expected the 16 swans to have gone to their roost at Walton reservoir, but they were still there, feeding with their Mute cousins. The flood water had receeded back to the river, on which were plenty of Mallard but little else. Tomorrow I intend on an early start to go and find a Great Grey Shrike - the two at Thursley and Crooksbury Commons have proved to be elusive - but it is a case of being at the right place at the right time.